Join CNET live from Google's press event in San Francisco, where the search giant is expected to announce new Nexus smartphones and Chromecast devices. Many are in emerging countries like Vietnam. "These are from people adopting a smartphone for the first time," he says. Now he's moving on to Google hardware and education. He's touting the Chomebook. Everyday, 30,000 new Chromebooks get activated. "We try to push the state of the art and the state of computing forward." "This year we've gone step forward. 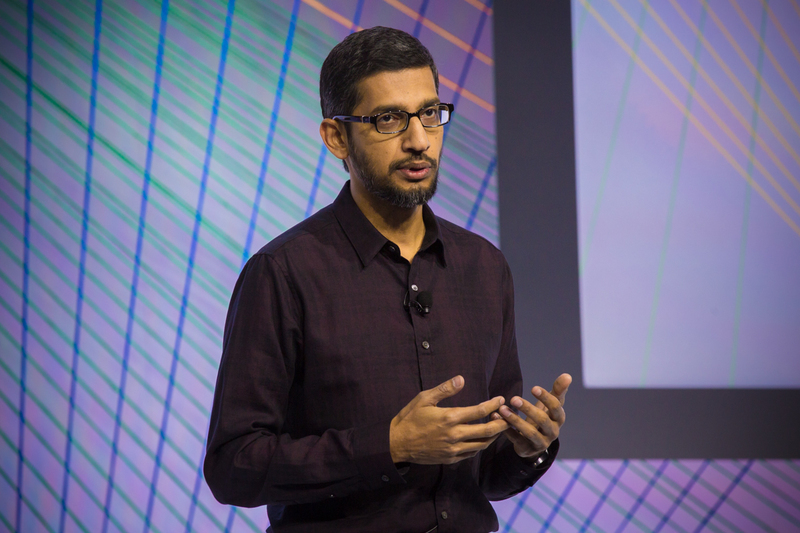 We have a more comprehensive lineup," Pichai says. 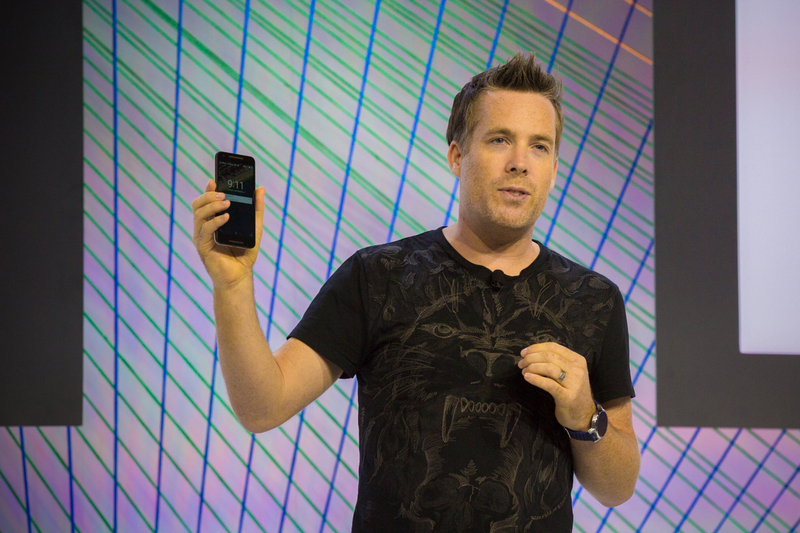 We're gonna see new Nexus and Pixel devices, he says. 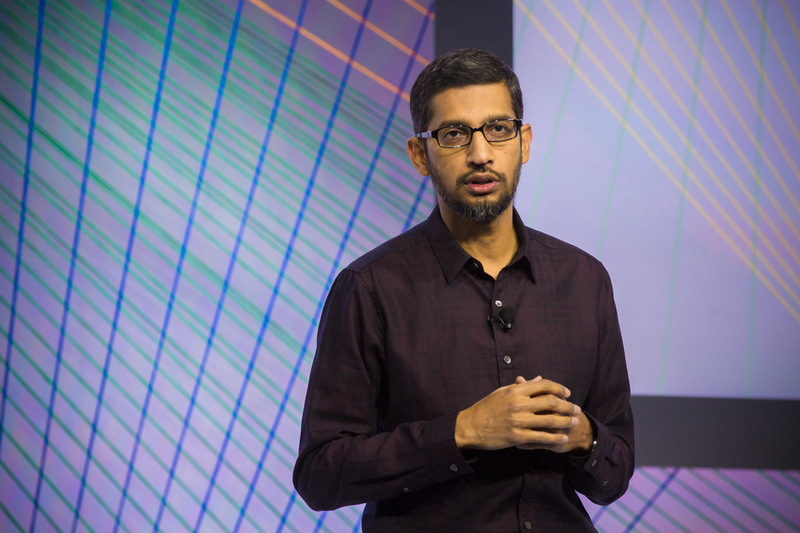 Pichai says Google will announce the Pixel C, a new Google built Android tablet. 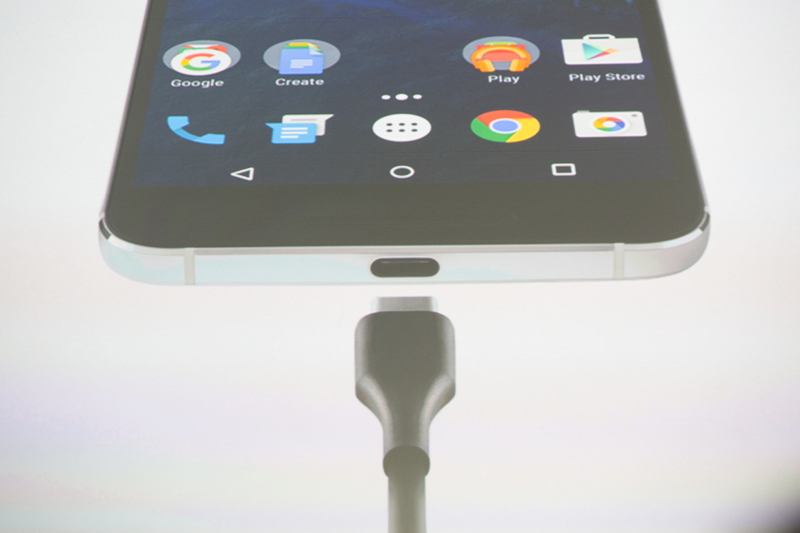 It's possible we'll see more of USB Type-C (which is featured in the Chromebook Pixel) today. 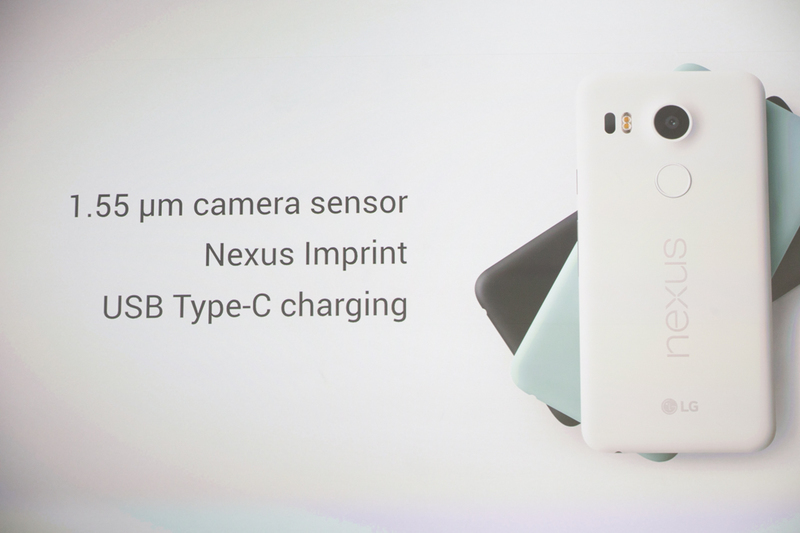 Both the Google Nexus 5X and 6P are rumored to have this port. 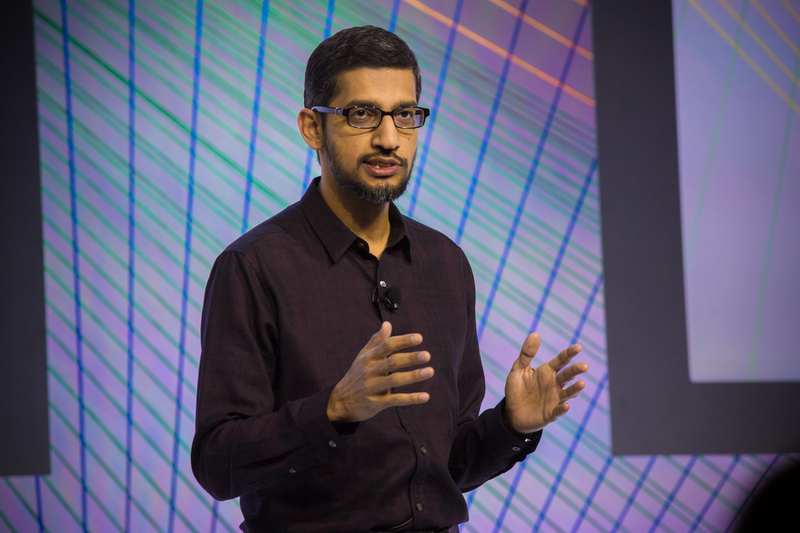 Google Play has more than 1 billion active 30-day users, he says. Dave Burke, a VP of Android Engineering, heads to the stage. 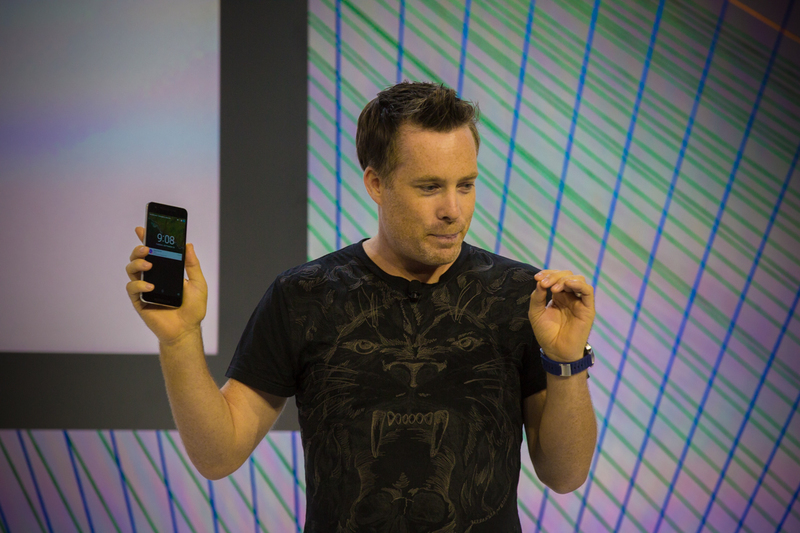 "Nexsus is Android as we designed it," Burke says. 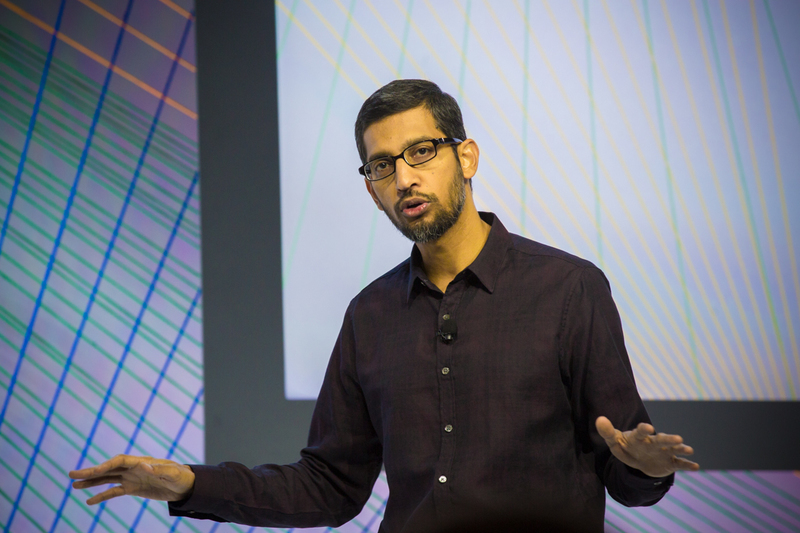 He officially announces the Nexus 5X and 6P. 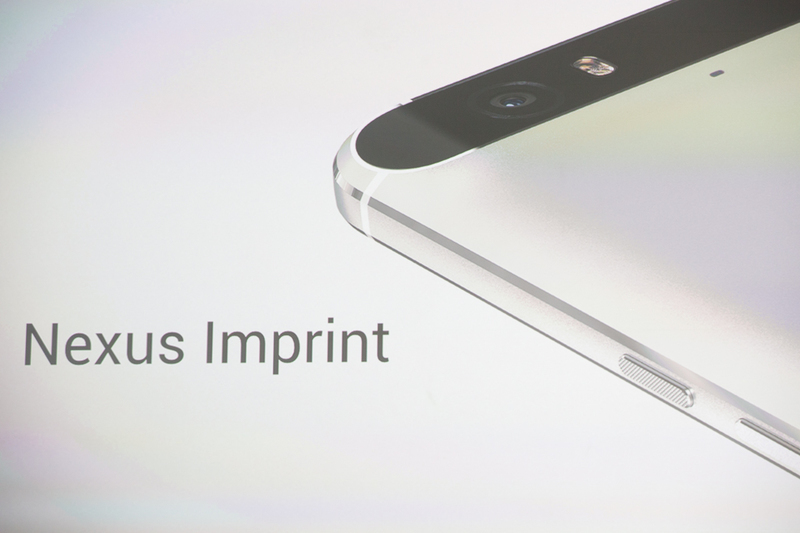 The 6P is the first metal Nexus phone. 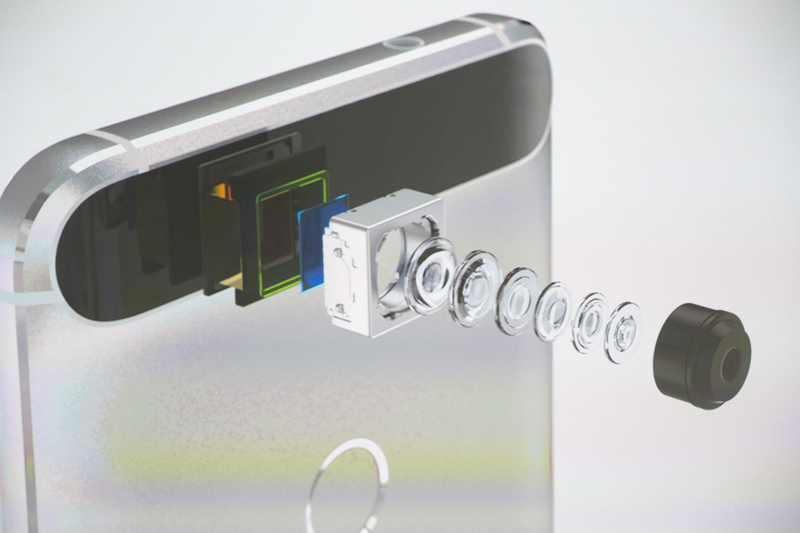 The Nexus 6P is here, and it's from Huawei. Looks really sleek in graphite. It has a 5.7-inch AMOLED display. "You get an amazingly immersive experience without the phone feeling too big," Burke says. 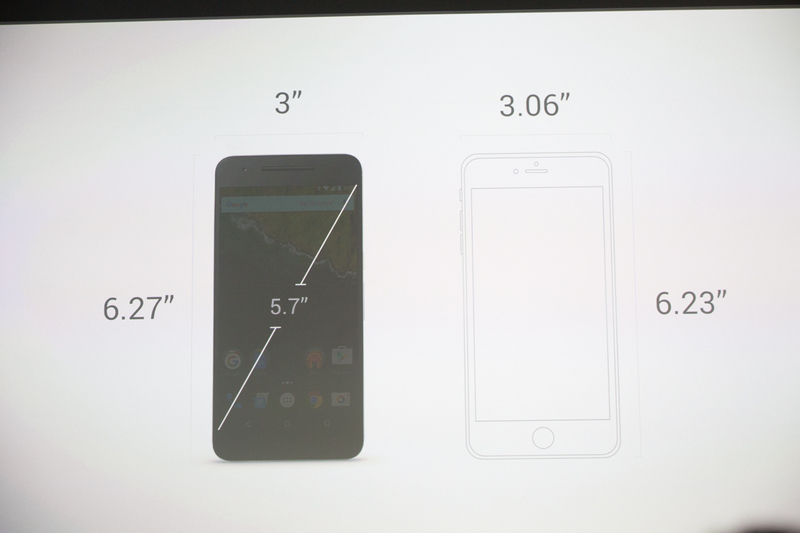 The phone has the "best camera we've ever put in a Nexus device," Burke says. It's got a fingerprint sensor on the back of the phone. It's to compliment the natural way you hold a phone, he says. Now we're onto the Nexus 5X. Now onto LG with the Nexus 5 -- specifically referred to as an update to LG's Nexus 5. 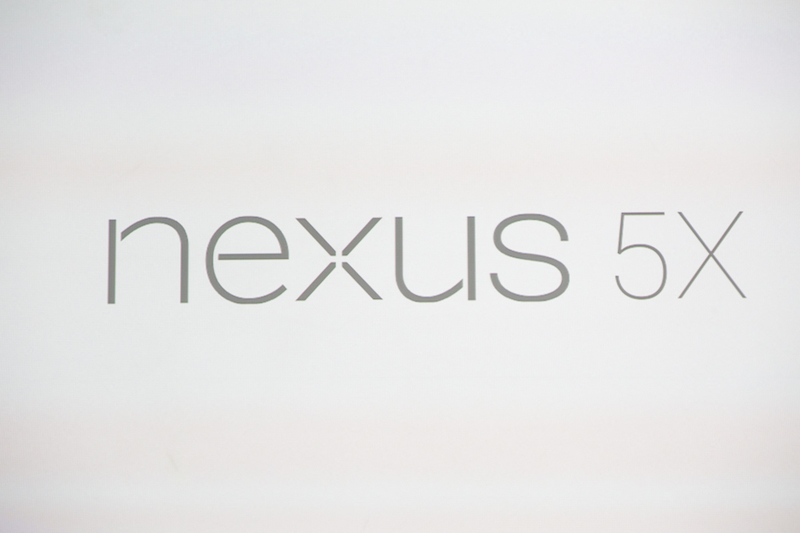 Aside from the Nexus Imprint sensor, it looks similar to the 5. It available in black, white and ice blue. 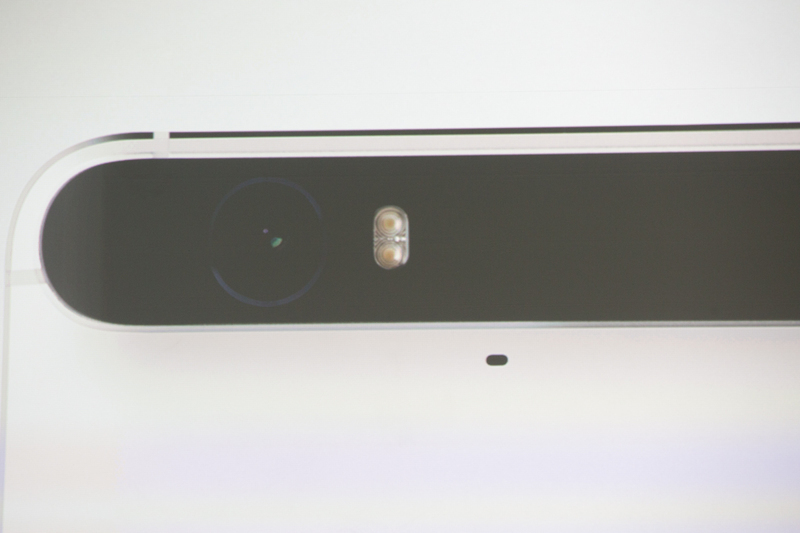 The 6P camera is optimized for indoor use, he says.